Optional American Kettle Bell Swing Challenge following the race for those interested in showing off their strength! Please enter through the far east gate off of St. Rd. 38. 5K entry fee includes chip timing and awards, commemorative t-shirt, camaraderie, good health and fun. The following items are available at check out. All orders must be placed by Thursday, April 4. Top male and female overall in the 5K. Top three males and females in each age group in the 5K. Bring some extra cash to buy tickets for our exciting raffle prizes! All of the proceeds will benefit the Heartford House. While we love animals, dogs and other pets are prohibited at this event. Because this is a fundraiser, no refunds will be issued for any reason. Please no bikes, skateboards, rollerblades or anything that would unfairly enhance your performance. 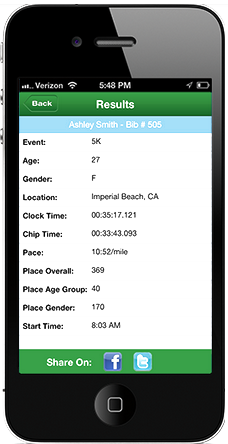 The 5K will be chip timed using disposable bib chip technology by The Franklin Finish, LLC. Results posted following the event at www.franklinfinish.com. 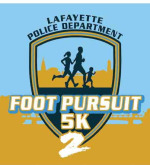 SEE YOU AT THE FOOT PURSUIT!